CBC today announced the renewal of its breakout hit comedy series KIM’S CONVENIENCE, following an acclaimed first season (13 x 30) that is drawing an average audience of 933,000 per episode to date (2+ AMA), with 39% of viewers in the 25 – 54 demographic. * A CBC original series produced by Thunderbird Entertainment (Thunderbird) in association with Soulpepper, the series will return with Season 2 (13 x 30) in fall 2017. 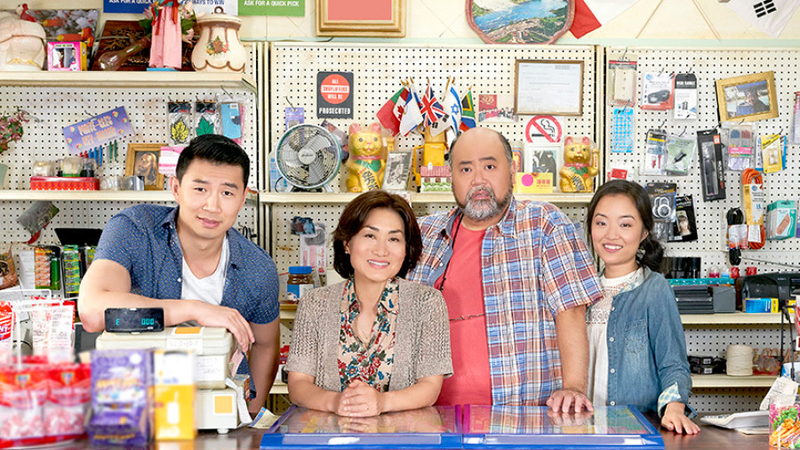 Based on the Soulpepper production of Ins Choi’s award-winning play, KIM’S CONVENIENCE is the funny, heartfelt story of The Kims, a Korean-Canadian family who run a convenience store in downtown Toronto. The series centres around Mr. and Mrs. Kim (‘Appa’ and ‘Umma’), who immigrated to Toronto in the ’80s to set up shop near Regent Park, and their two grown kids, Jung and Janet. The world of Kim’s Convenience is real, colourful and urban – a diverse landscape of people and places – with the Kim family at its core, as they find humour in their everyday lives running the store. KIM’S CONVENIENCE airs Tuesdays at 9 p.m. (9:30 NT) on CBC and is also available to stream online at https://www.cbc.ca/kimsconvenience/. The series’ first season finale will air at a special time at 8 p.m. (8:30 NT) on Tuesday, December 27, featuring two back-to-back episodes. Produced by Ivan Fecan and co-created by Ins Choi and Kevin White, KIM’S CONVENIENCE stars Paul Sun-Hyung Lee (Shoot The Messenger, Degrassi: The Next Generation) as Appa, Jean Yoon (Orphan Black, The Expanse) as Umma, Simu Liu (Blood and Water, Taken) as Jung, Andrea Bang (Camp Death III: The Final Summer) as Janet, Andrew Phung (Adventures of a Pizza Guy) as Kimchee, and Nicole Power (Anne of Green Gables) as Shannon. The series is executive produced by Ivan Fecan, Tim Gamble, Alexandra Raffé, Leslie Lester, Albert Schultz, Ins Choi and Kevin White, with Sandra Cunningham and Robin Cass (Strada Films) serving as supervising producers.